It is an application designed to render the simplest procedure of transforming data from Offline storage file (.ost) to a Personal storage file (.pst) of Outlook. Recover Corrupt OST - Get offline storage data recovered in case of corruption. The software is capable enough to recover lost/corrupted or even deleted data. Once recovered the data from OST can be restored as a PST file. View OST File Contents - Offline Storage file contents cannot be previewed otherwise without the required environment of Outlook and Exchange. However, with the software you can preview the contents without the support of Microsoft Exchange Server. Export Offline Data as PST - The tool renders recovery output as PST file. The restoration is intelligently done by the software in respective folder structure maintained. The OST file is structurally similar to PST and thus, the software identifies and maintains data accordingly. Retain Data Throughout - OST to PST converter is programmed to support a secure conversion throughout. The tool doesn't perform any kind of modifications or interference with the data during the conversion of data from OST format file. Split Output PST by Size - When restoring offline storage data into PST, the application generates a Unicode type PST. However, despite the unlimited storage space, users are given the provision to split the output data by size and create multiple output files. Exchange Not Required - Exchange environment is otherwise necessary for accessing an OST file but not with the software. The application is standalone in this manner and can access and recover contents from offline storage files without requiring the support of Microsoft Exchange. What are the software requirements for converting OST to PST? The application has basic system requirements. 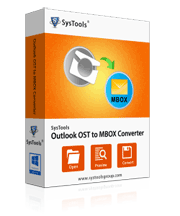 You only need Microsoft Outlook installation on a Windows based machine to operate the tool. The application doesn't have dependency on Microsoft Exchange and so the server environment is not required. How many files can I convert at once? There is only provision for one file at a time. 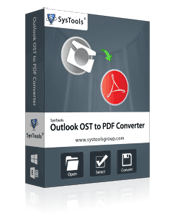 You can only convert one file at a time with OST to PST Converter. However, multiple files can be added to the software on an individual basis. Can I run the application on a Mac Machine? No, the application is completely Windows based. Thus, cannot be used on a Mac machine. Will I be able to convert only a selective set of folders? Yes, you can convert selective data from OST file to PST. The application features checkboxes for selection of files/folders as per user requirement. We were stunned by the software performance. 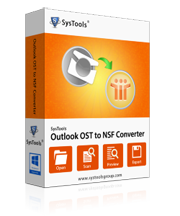 There were plenty tools on the web that we could have chosen but we chose OST file converter. The tool surprisingly comes with an option to recover data without bothering the user for the same. We had been looking for a similar application and thus getting it finally came to us like a surprise. The tool was quite easy to be operated without the need to take any external help from an expert.